As a long-term cancer survivor who’s been living with Chronic Lymphocytic Leukemia (CLL) since 1992, I’ve been looking for ways to manage stress and anxiety for a long time. Fortunately, a myriad of techniques and approaches are available. Over time I’ve been drawn to yoga, meditation, music, walking, photography, writing—the list goes on and on. 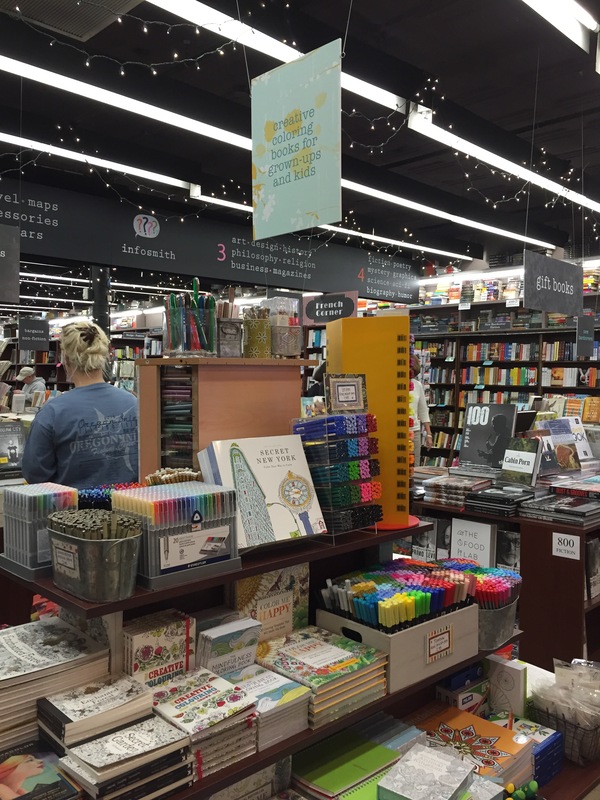 This summer after reading an article about coloring books for adults, and then coming across them in my visits to bookstores and art supplies stores, I became fascinated with them. I wanted to buy coloring books as a gift for this person and that one, and stopped myself many times thinking maybe they won’t be as excited about these as I am. But when my preoccupation with coloring books reached a tipping point, I finally realized that is was ME who wanted one of these newfangled books, and colorful sets of markers and pencils. I went back to my favorite independent bookstore, Brookline Booksmith, to survey the choices again, and well, was a bit overwhelmed by the choices. 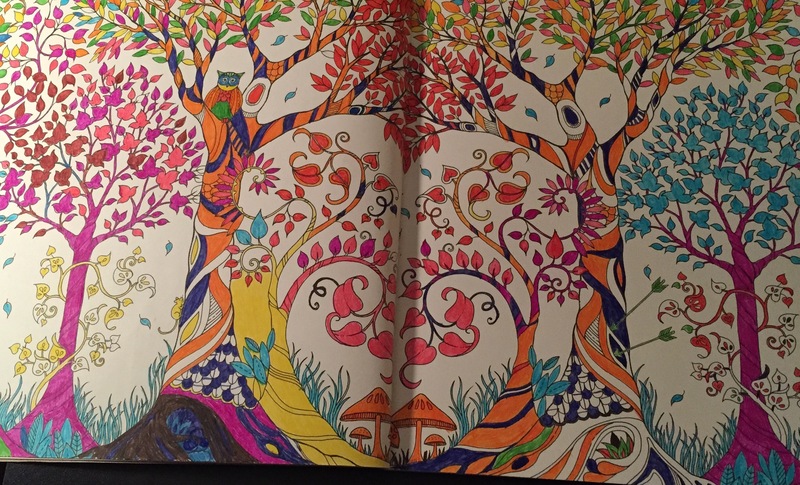 That night I began my foray into the deep magical world of coloring, spending nearly five hours on a two-page spread when I realized that I was having one of the best experiences with mindfulness yet. I was in-the-moment, enjoying each and every color and squiggly line. I felt alive. Jazzed-up and headed back into the world the next day seeing opportunities to color wherever I went. 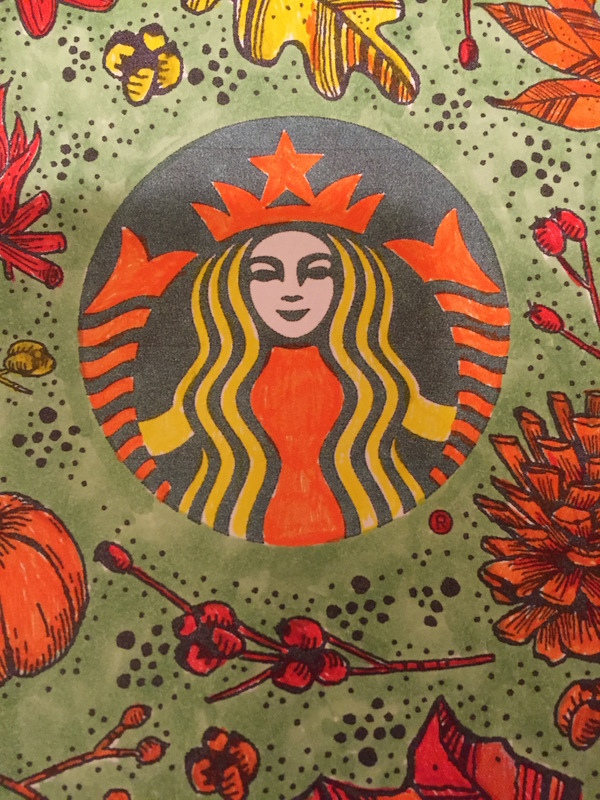 The fall Starbucks cup was a no-brainer, they were quickly flying off the shelves. One idea led to another and I started thinking what if I offered coloring workshops for people living with cancer? Facing Cancer Together, a cancer support organization in Newton, MA, where I’ve been connected for many years was excited about the idea. 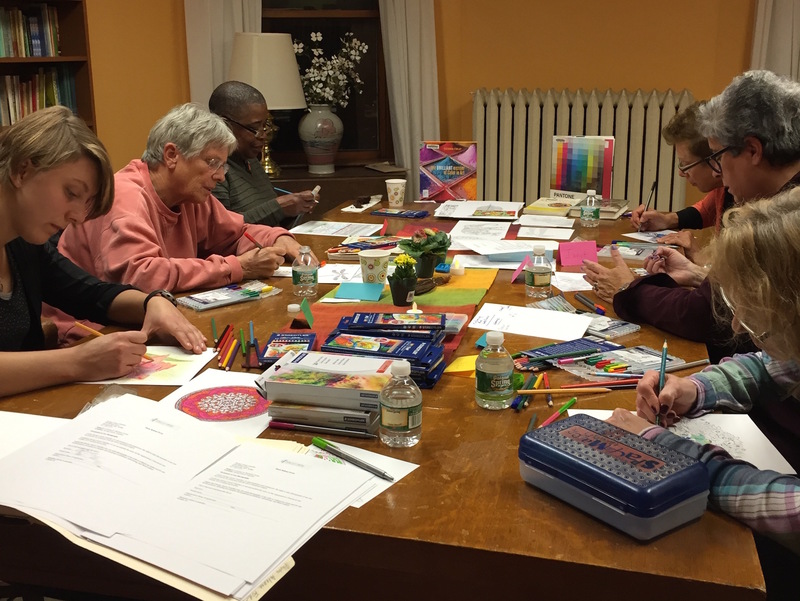 This past Sunday we had our third “Coloring for Wellness” group and I think it’s fair to say that many participants got the coloring bug, too. I was at the hospital today for my six-month follow-up appointment and I’m pleased to report everything is stable. Looking around the waiting rooms at people staring into space, nervously checking their mobile phones, and reading yesterday’s crumbled newspapers, I saw loads and loads of coloring potential. Discovering this funny video from Ellen DeGeneres today, is like the icing on the cake. And provided an impetus to write this post. If you know someone going through cancer treatment, buy them a coloring book. Don’t wait for the holidays. Do it now. They’ll be glad you did. And, if you’re reading this article, chances are you’ve had some interest, too. Buy two.